When we talk about animation, the first thing most people think of is Disney, right? And for good reason -- he was there as the medium was developing, and he managed to build an animation empire that completely changed the entertainment landscape not just in Hollywood, but around the world. And when you talk about Disney, especially in regards to early animation, Steamboat Willie inevitably comes up. We've all seen at least clips of it, the crude version of Mickey Mouse whistling along while steering a boat. Cute, right? And it's largely held up as the first indication that animation could be entertaining and a promising business venture in its own right, which is fair. 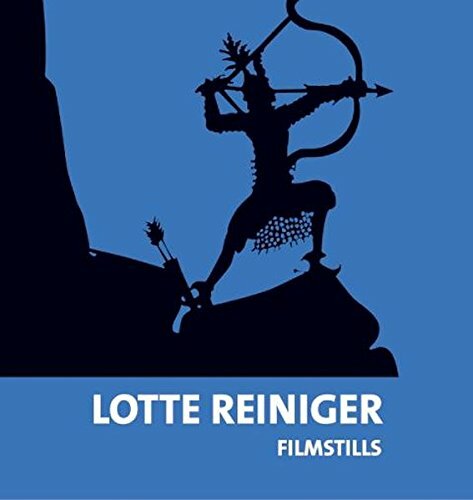 But what Lotte Reiniger is able to accomplish here two full years before Steamboat Willie is to establish animation as a legitimate art form. Upon watching The Adventures of Prince Achmed, one would be hard-pressed to find an animated film more stunningly beautiful than this one. THOSE ARE ALL LITTLE PAPER CUT OUTS Y'ALL. 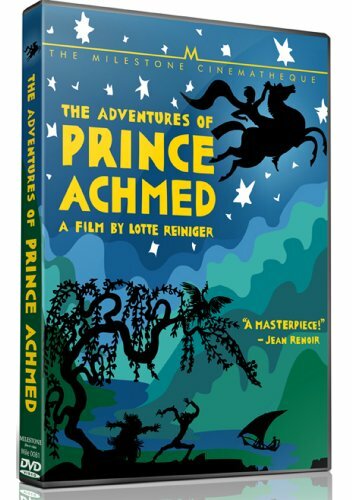 The Adventures of Prince Achmed is not a film that you necessarily watch for the story. 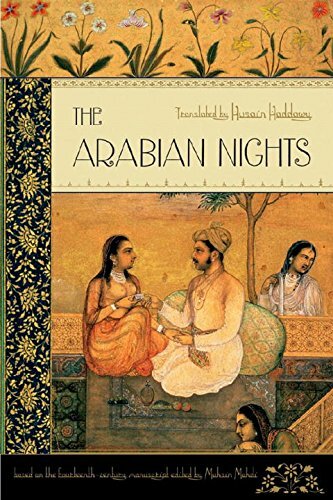 Reiniger chose to tell a story that most audiences were probably already familiar with; she borrows from One Thousand and One Nights for her inspiration. The story is only important in its capacity to provide fantastic and magical elements that allow Reiniger to be immensely imaginative and creative in her design work. But here it is anyway. Essentially, there's this nasty African sorcerer who is determined to win the hand of the caliph's beautiful daughter. He offers the caliph sultan treasures, both magical and otherwise, but he refuses. Well, a sorcerer is hardly going to give up just because someone told him no, right? Harry Potter never did. So he did what any entitled man who thinks women are objects and won't take no for an answer would do: he tries to kidnap her. Now, her brother the titular Prince Achmed is understandably a little peeved, but the sorcerer uses his magical flying horse to send the prince far far away, where he can't be a royal cockblock. The prince is then forced to go on a series of adventures to find his way back home, but it's cool because along the way he gets to creep on a princess while she's innocently bathing in a river with her handmaidens. I'm conflicted about this because it's one of the most stunningly delicate sequences of animation I've ever seen, but it's also terrible. Like, the dude sneaks up to the river and steals the enchanted pair of wings she used to fly there so she can't escape. Definitely not the type of thing that would make her fall in love with him of wait no that's exactly what happens. But before the two lovebirds have too much time together, the sorcerer shows up, leaves the prince stranded, and steals the girl (what is it with this guy and kidnapping princesses anyway?). She is then taken to China, where she is sold to the Emperor. And right now is probably the best time for me to remark upon the fact that one of the truly unfortunate things about this film is its depiction of ethnic stereotypes. Because the African sorcerer and the Chinese emperor (as well as the African witch who turns up later in the film) look...well, exactly the way you would expect them to look having been made by a white artist in 1926. Luckily, Achmed is rescued by the aforementioned African witch who has wisely chosen to adopt the adage, "The enemy of my enemy is my friend," and agrees to magic battle the sorcerer. This event is a pretty impressive bit of animation as both characters shapeshift into different animals in an attempt to one up each other. ("Oh, you're turning into a snake? Fine, now I'm a lion. You're a rock? Now I'm paper!") Also, I would pay good money to see this sequence set to Top That from Teen Witch. Not even sorry about it. Oh, and in the meantime, Achmed befriends Aladdin (yes, that Aladdin) who by a crazy random happenstance has seduced and married Achmed's sister while he was away on his adventures. Which have apparently been going on for much longer than they seem. But at the end of the day? It really doesn't matter. All you need to know about The Adventures of Prince Achmed is that it is soothing and gorgeous and honestly still one of the best animated films ever made in terms of pure artistry. I found myself repeatedly in awe throughout the film at the tremendous detail and how much time and patience this whole ordeal must have required. This is why you need a union, so robots and one-percenters don't get you riled up and encourage you to accidentally on purpose drown all your children.